The green of decoration matches very well with the red bricks wall and the old door. 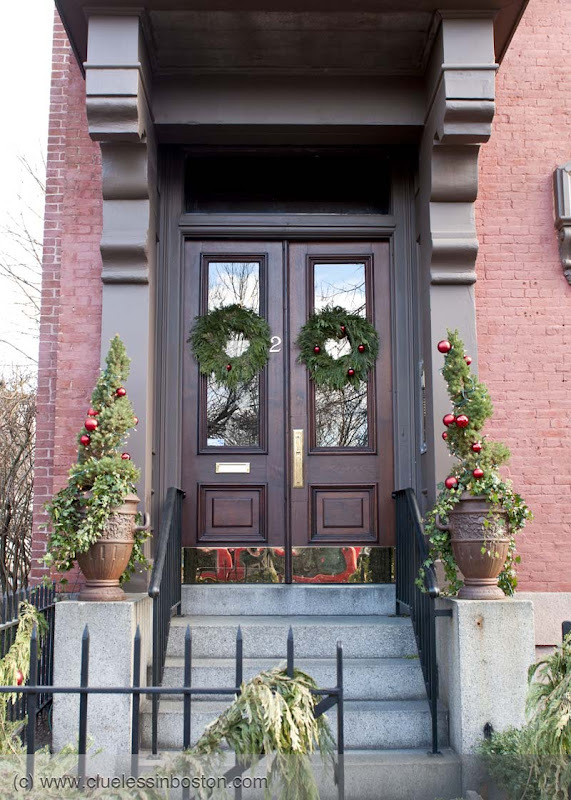 Adorable decorations and such an elegant doorway! "Look at me; look at my big door". Awesome picture, the doorway is filed of charming!